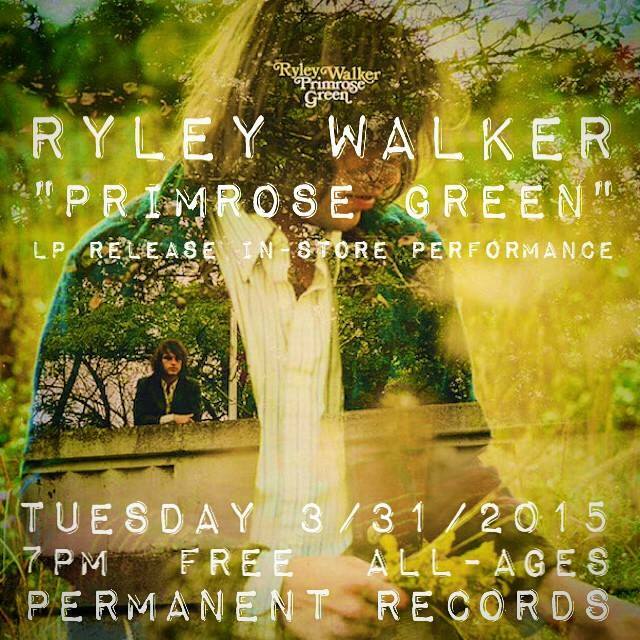 So, we’ve all strolled over to NPR and streamed Ryley Walker’s new album Primrose Green, right? If you have, you’ll be stoked to know that he’s also going to be playing an LP release show over at Permanent Records tomorrow. P.Rex instores are always really chill, and generally run a little behind schedule. It’s all ages and free, and you can BYOB if you truck in beer from a different neighborhood (that stretch of Chicago is zoned weird so there’s no liquor stores – BELIEVE ME I KNOW).